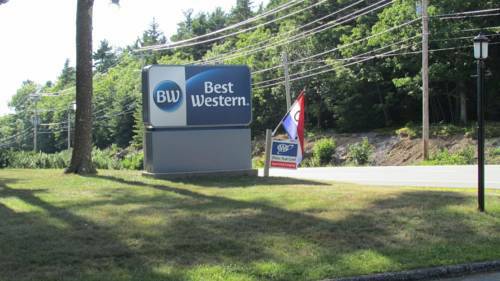 Welcome to Best Western Acadia Park Inn! For hotels in Bar Harbor Maine with 13 acres of gorgeous Maine trees and foliage our hotel is the perfect choice, and the only difficulty guests have when deciding what to do first on vacation. Start with a visit to Acadia National Park and Bar Harbor, where the beauty of the region is on full display. There are many seafood restaurants close by, and guests have never had seafood this fresh. Try the famous Maine lobster and other seafood staples. Downeast Maine hospitality is at its finest here, and our friendly staff will make you feel right at home the second you arrive. Guests recognize us because of our brand name, value and our service precedes us. With non-smoking and no pets allowed, we ensure you're as comfortable as possible when looking for Bar Harbor Maine hotels. Located in a serene setting just five miles from downtown Bar Harbor, you can enjoy a peaceful and romantic getaway but still be just minutes from the charm of the town. Our proximity to Acadia National Park and Visitors Center is especially attractive to guests who are outdoor lovers. The Fourth of July celebration of fireworks is fun for everyone, and many out of towners come to our Bar Harbor hotel just to experience the American tradition. Of course, the MDI Marathon and stunning foliage in October also draw a crowd. Sightseeing boats are nearby our hotel in Bar Harbor Maine. We're the winner of the Certificate of Excellence on TripAdvisor for two years running, perhaps because of our heated outdoor pool that provides the perfect relaxation spot and superior customer service. Many business travelers count on the Best Western brand name when traveling to the region, knowing that they'll have spacious, clean rooms and great service. Employees of Jackson Lab, College of the Atlantic, Bar Harbor Hospital and MDI Biolab (Mt. Desert Island) are just a few of our return guests. Book your next getaway at Best Western Acadia Park Inn! From: The north. Take 395 to 1A East. Drive to Route 3 East. The Best Western Acadia Park Inn is on Route 3, on the right hand side just past Salsbury Cove. From: The south or west. Take 95 North to Bangor, Maine and then take 395 East to Route 1A East. Proceed to Route 3 East. The Best Western Acadia Park Inn is approximately 17 miles from where Route 1A and Route 3 meet on Route 3, on the right just past Salsbury Cove. 0.25 mile(s) from The Log Cabin, Full Service, American, Open for: lunch, dinner, Family style. 1.50 mile(s) from Sweet Peas Winery, Full Service, American, Open for: lunch, dinner, Great gift shop, wine and delicious food. 0.25 mile(s) from Mainly Meat Bar-B-Que, Full Service, American, Open for: lunch, dinner, A great place for casual bar-b-que meals. Our guests have told us they love it (as do we). 0.25 mile(s) from Udderly Heaven, Ice Cream/Dessert, American, Open for: dinner, Great guest (and staff) reviews! 2.0 mile(s) from The Chart Room, Full Service, American, Open for: lunch, dinner, Seafood at its best! Playground - Playground we have added a children's playground area in 2016. Cedar works play set with swings and slide along with a large sandbox with toy trucks, pails & shovels. Bocce court - Bocce court added new for 2017, a Badminton area. A S'Mores fire pit attended by a hotel employee evenings for young and old(er) folks to enjoy. 2.00 mile(s) from Acadia National Park, scenic drive park loop road, 50+ miles of carriage paths for hiking and biking, mountain climbing & technical rock climbing. Family-oriented lumberjack performance, with energetic competition at log-rolling, pole climbing, ax-throwing. ~7 miles from Bar Harbor. Take an elevator 42 stories up to see the view from an observation deck inside a suspension bridge pillar. ~27 miles from Bar Harbor. Battleship bling dredged up from its 1898 sinking in Havana Harbor. Displayed on a life-size replica of the doomed ship's bow. ~35 miles from Bar Harbor.